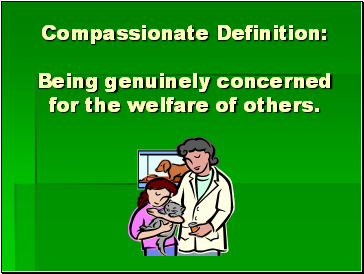 Being genuinely concerned for the welfare of others. 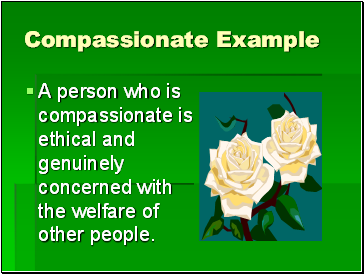 A person who is compassionate is ethical and genuinely concerned with the welfare of other people. 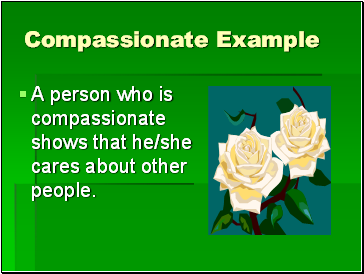 A person who is compassionate shows that he/she cares about other people. 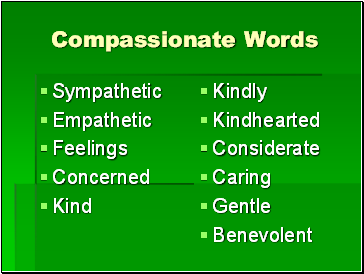 Feeling an emotional response to the pain and pleasure of others. 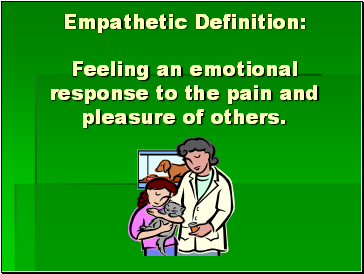 A person who is empathetic feels an emotional response to the pain and the pleasure of other people. 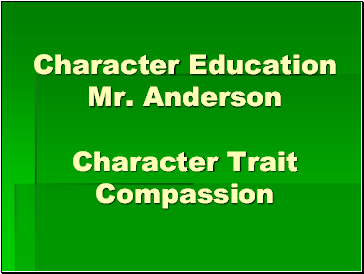 A person who is empathetic has a generous spirit toward other people. 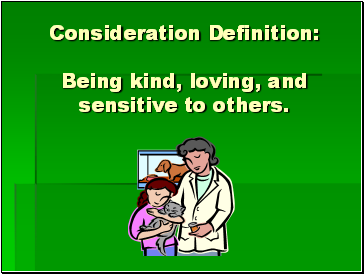 Being kind, loving, and sensitive to others. 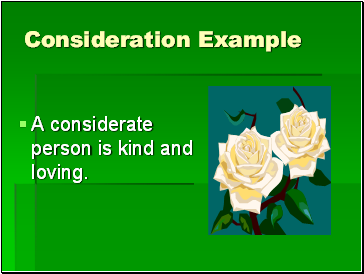 A considerate person is kind and loving. 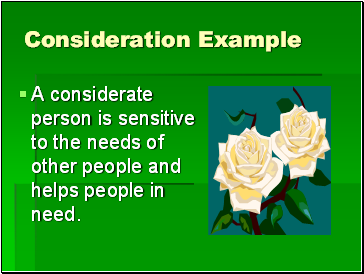 A considerate person is sensitive to the needs of other people and helps people in need. 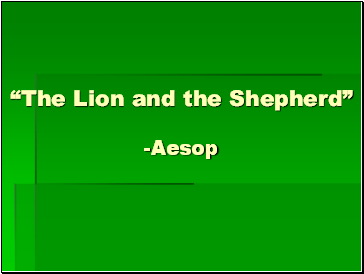 Why do you think the shepherd helped the lion? Can a person feel the emotions that someone else is feeling? 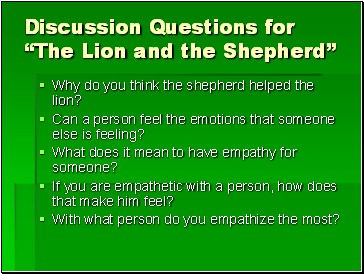 What does it mean to have empathy for someone? 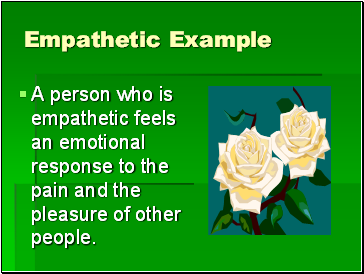 If you are empathetic with a person, how does that make him feel? 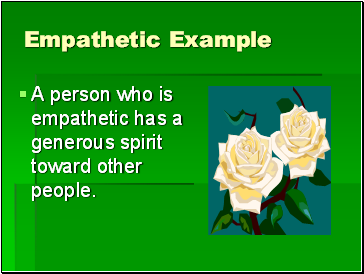 With what person do you empathize the most? 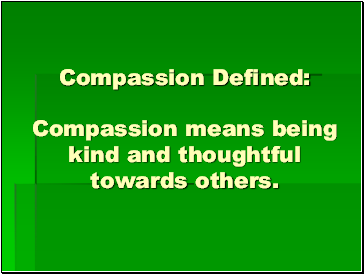 Compassion Defined: Compassion means being kind and thoughtful towards others.